Book Rayna Tours’ Explore Dubai and easily tick two incredible middle-eastern destinations off your bucket list! Beyond the glam of Dubai, this seven-night package lets you soak up the unrivaled charm of one of the world’s richest cities, Abu Dhabi. 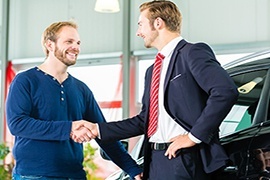 Follow our proficiently pieced together travel program with roundtrip airport transfers or call in one of our destination experts to personalize your own itinerary. 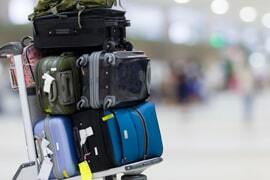 The package also offers a 4G SIM Card pick up when you are at the airport to stay connected with your family and friends. From a comprehensive sightseeing tour and a delightful dinner cruise on Dubai Marina to a thrilling Yellow Boat ride and Wonder Bus tour to a visit to At the Top Observatory within Burj Khalifa, your seven night stay in Dubai offers ample opportunities to savor the city’s most stunning delights in the most delightful manner. Engage your adventurous side on an electrifying desert safari with dune bash, BBQ dinner and many activities that reflect ancient Emirati culture and lifestyle. Spend a whole day in Dubai Parks and Resorts - the region’s one-of-its kind integrated resort with three distinct theme parks (Motiongate Dubai, Bollywood Parks Dubai, and Legoland Dubai) as well as a Lego-themed water park. 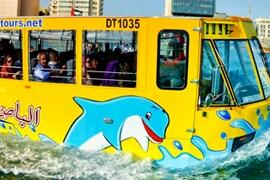 Above all, a full-day sightseeing tour will head you out to explore the most fabulous sights and thrilling attractions of Abu Dhabi. 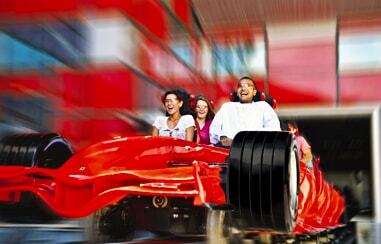 It also includes an entry to the legendary Ferrari World Theme Park on Yas Island. The entire holiday was full of amazing experiences. Every tour was well-planned and executed. It was 7 nights of entertainment and fun. 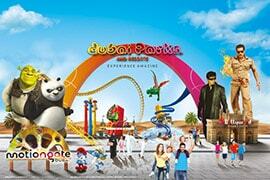 The Dubai Parks and Resorts was surely the best of all the tours and so was the desert safari. I would give this tour package the perfect 10! In one word, the tour was excellent! There was never a dull moment during the entire trip. Each day was filled with exciting places to see and things to do. The desert safari and the Burj Khalifa tour were the best. We also loved Legoland Dubai (part of Dubai Parks and Resorts). With an entire week to spend, we chose “Explore Dubai 7 Nights” tour package from Rayna. This tour package covered most of the activities and places to visit. The first day started with exploring Dubai city and ended with a dhow cruise dinner. Everything went on so smoothly that there was nothing to complain. 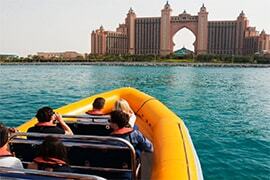 Visiting beautiful locations of Dubai at our own leisure and taking a romantic cruise along with entertainment and BBQ dinner served was the perfect start for the tour. We went for desert safari the next evening and a had a ride of our lifetime with dune bashing. The entertainment in belly dancing and other traditional acts, including BBQ dinner was a novel experience for us. We loved taking a ride on the Wonder Bus that ran on land and the water. The ride gave us glimpse of the exotic destinations of Dubai. We then went to Burj Khalifa and inflated our knowledge of the tower. Further, the time spent at the Dubai Parks and Resorts, Ferrari World, and with the Love Boat was another memorable experience of our lives.